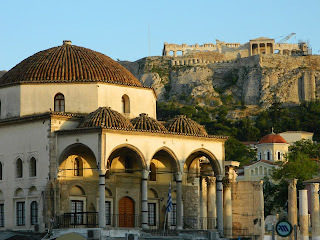 This isn’t a post on why everyone should visit Greece to save their economy, but rather a post on why Greece is quite possibly, one of the best places to visit. Of course you have the scenery and history, but that’s not even the best part of it: it’s the people! 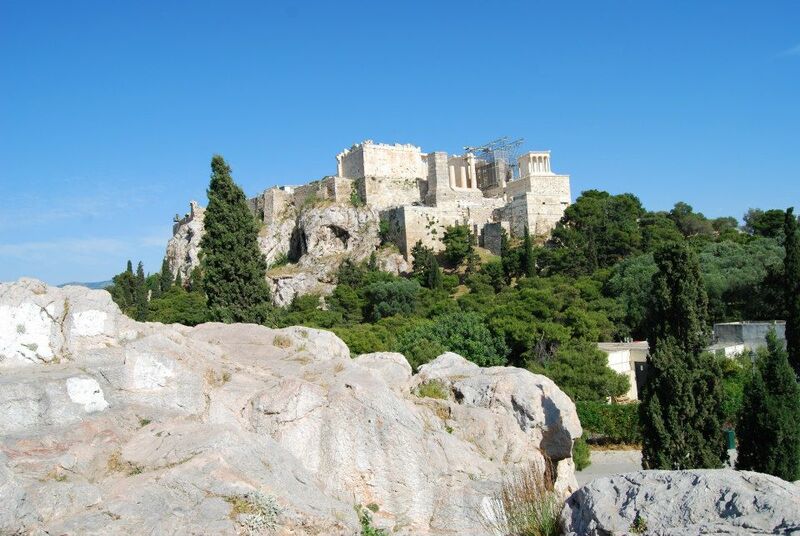 Last month, I had the pleasure to go to Greece. 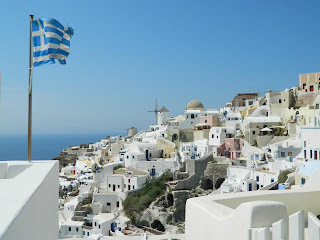 Athens and Santorini was the destination. 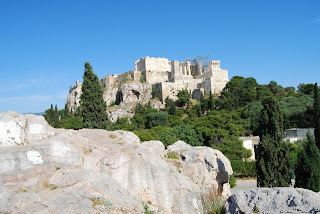 Easyjet flies from Milan to Athens for a pittance (130 euro return if you book enough in advance- they also fly to Santorini but only during July & August) So the itinerary was set: one night in Athens, five nights in Santorini and another night back in Athens. 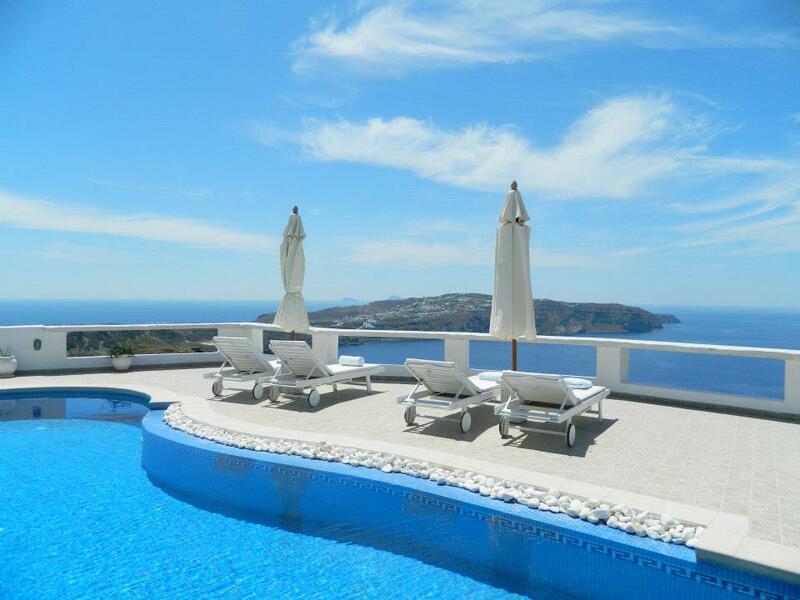 Next stop was Santorini. Since it wasn’t high season, a direct flight to Santorini wasn’t possible and the flights from Athens to Santorini were more expensive than what we paid from Milan to Santorini. So, we opted for a ferry. To figure out Greek ferry times, it seems you need a masters in research. I had foolishly assumed that ferries to Santorini were frequent and plentiful. I was wrong. There are usually only 2 a day and they are more often than not at awkward times like 1am or 4am. And since I have bad memories of slow ferries from business trips to China, I wanted the fastest one. The “fastest” one was 4.5 hours. Left Athens at 7:30 and arrived at noon. Perfect. Well, apparently “fast” is fast, for the slow ferries take 10 hours, but though the schedule and website advertise 4.5 hours, that’s never happened. 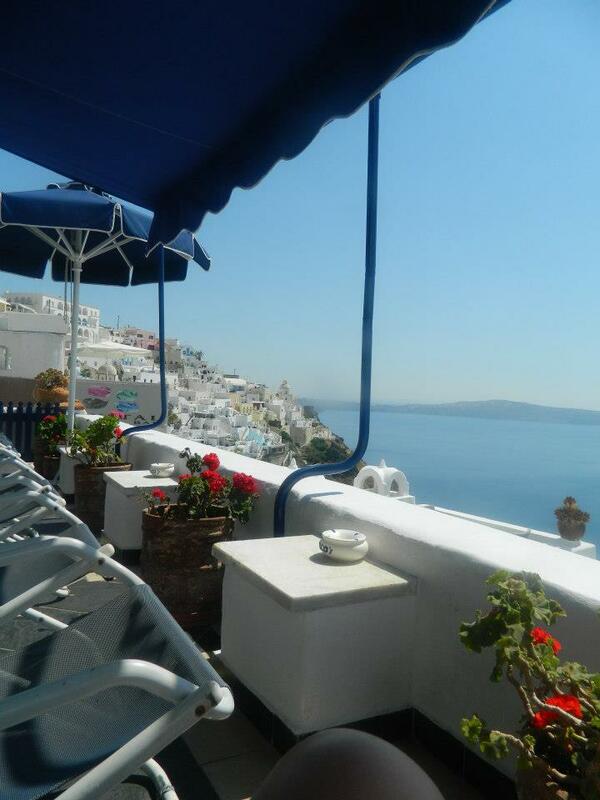 Shortly before 2pm, we arrived in Santorini. 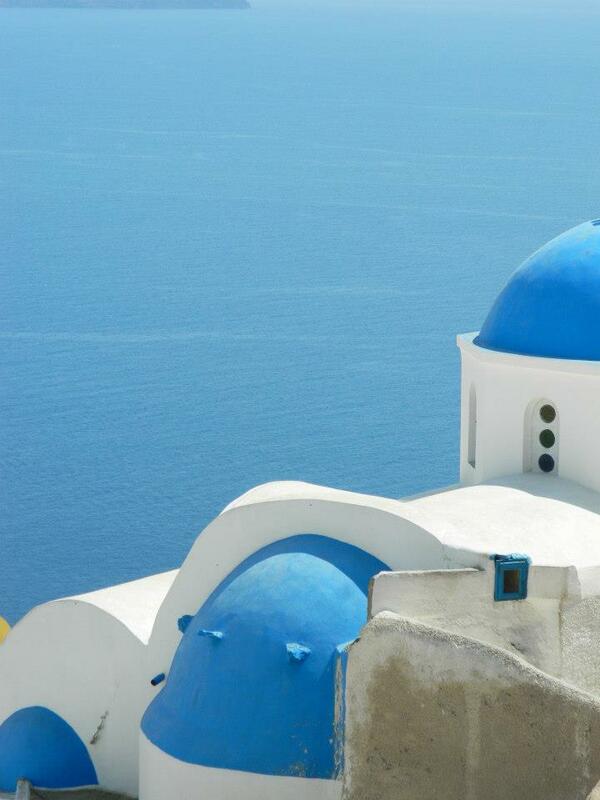 If you’ve ever been to a Greek restaurant, you’ve probably seen pictures of Santorini on the walls. But let me tell you, it’s even prettier than you’d expect. What sets Greece apart though is the people. Ok, one could argue that Santorini’s major industry is tourism so they better know how to treat tourists, but in Europe, where indifferent service is the norm, it’s greatly appreciated. After a spontaneous decision to get a tattoo by a Hungarian guy who discussed Greek economics, we needed to get back to the hotel and we missed the last bus. So we thought. So went to a local restaurant and asked if he could call us a cab. He said the bus was on the “new” schedule and there would be another bus in 20 minutes. He indicated for us to have a seat and wait, and when he saw it coming, he would call us to come over. Though the restaurant wasn’t even close to full, there was no pressure to order anything or to otherwise make money off of us. The bus arrives, off we go. In fear of missing it, we stood on the curb frantically waving our hands. The bus didn’t stop. Turns out there is a last bus, but it only drops off, doesn’t pick up. The owner of the restaurant stood outside to make sure we got on the bus. When he saw it didn’t stop, he was horrified. He was profusely apologetic and apologized for the state of his country (a bit much, this was just a bus, but still) So we asked for that cab. He said that a cab would cost far too much money (20 euros) and that we didn’t need to spend the money, one of his regular patrons would drive us home. I’ve been a tourist in a lot of countries, and I’ve never experienced a restaurant owner (who I didn’t even give business to) to look out for my well being. 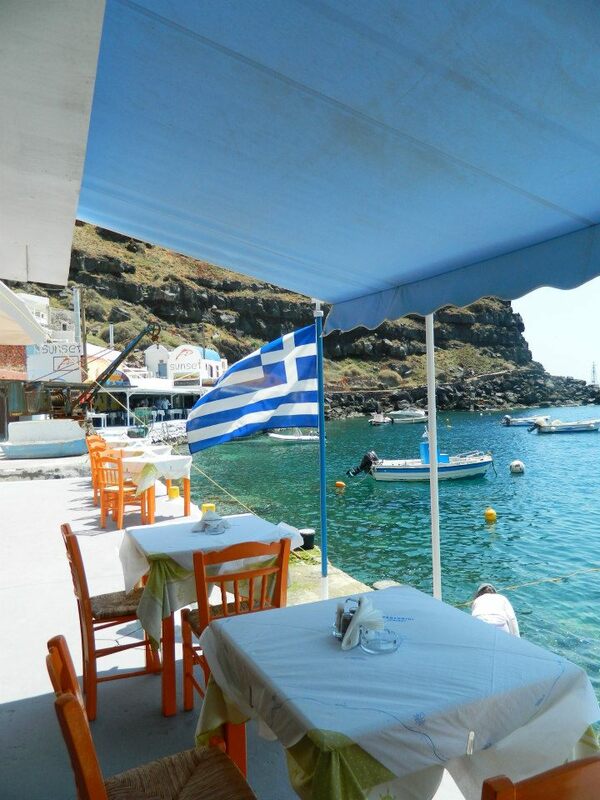 Another example is this amazing local Taverna we ate at. It was a family owned restaurant nearest to our hotel. The food was amazing and homemade. Every dish that they prepared and suggested was incredible. After every course, the owner would ask with a genuine and caring look and ask “did you enjoy it?” and when we said he did, he seemed genuinely pleased. The best part was after every meal, he would bring us something special, some dessert, grappa, appetizer and his wife would come out at the end of every meal to make sure we enjoyed everything she prepared. 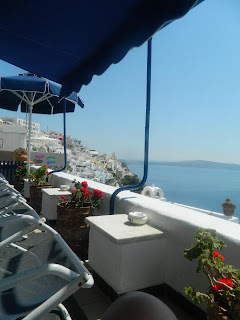 The restaurant was never lacking business and again, I’ve stayed at a lot of tourist spots that could care less about food or service for the chances of you returning are slim. 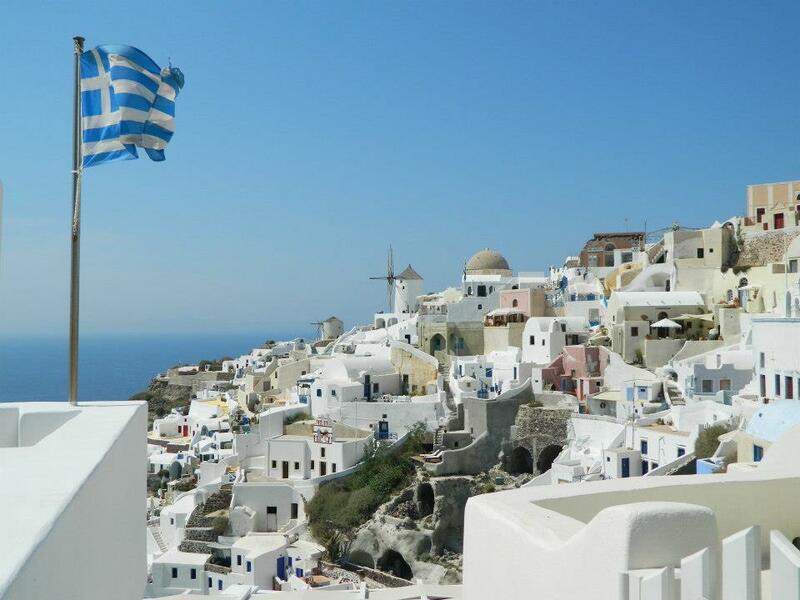 So, if you’re looking for somewhere to vacation that will appreciate your money and get service and value for your money (not to mention incredible scenery, food and history) do it in Greece!